You want to install an Alpine, Clarion, JVC, Jensen, Kenwood, Pioneer, Sony, or other brand(s) . . .but you don’t want to lose your steering wheel audio controls? We have found that in 9 out of 10 of installs, this unit will automatically detect the vehicle AND the new head unit – it then proceeds to self program. No more soldering, programming or frustration! NOTE: If you are using a Kenwood head unit, please be sure to contact us ahead a time. We have had a MINOR issue with some of the Kenwood head units. 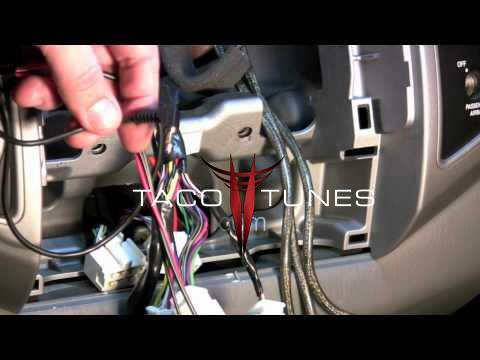 How to install Steering Wheel Controls to work with new stereo in your Toyota Tacoma. We took it a step further and configured this unit especially for your Toyota. Once you have collected the information or printed out the information sheet on your particular vehicle from the Axxess website (www.axxessinterface.com) you’re ready to install the ASWC. 1) Connect the Black wire of the ASWC (pin 6) to ground. 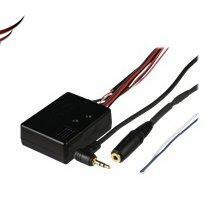 You may use the same grounding point as the aftermarket radio. 2) Connect the Red wire of the ASWC (pin 12) to a 12 volt accessory wire, one that turns on and off with the ignition key. ASWC to the vehicles steering wheel control wire(s) in the vehicle. We recommend that the wires are soldered for the best and most secure connection. T-Taps are not recommended due to the higher chance of an intermittent connection (this means you Zack). 4) If you are using an Eclipse or Kenwood radio, plug the female 3.5mm connector with the Brown and Brown/White wires into the male 3.5mm connector of the ASWC harness. * For Kenwood radios: Connect the Kenwood SWC wire (normally Blue/Yellow) to the Brown wire of the ASWC. Isolate and tape the Brown/White wire, it will not be used. radios manual if you are in doubt where the 3.5mm connector of the ASWC goes. your vehicle would be auto detected and what action, if any, is required by you for this process to take place. the programming even if the ASWC is disconnected from the vehicle. for the latest version, you can update it yourself and save time and money. you have it in the vehicle during the install. for detailed information on your specific vehicle and what color wire(s) to use on the ASWC. from the Axxess website (www.axxessinterface.com) you’re ready to install the ASWC. recommended due to the higher chance of an intermitted connection (this means you Zack). and Brown/White wires into the male 3.5mm connector of the ASWC harness. wire of the ASWC. Isolate and tape the Brown/White wire, it will not be used. 1) Turn the ignition on and no other action is required. 2) Turn the ignition on, press and hold down the Volume Up button on the steering wheel. auto detect feature to work. Please refer to the vehicle info sheet in the Axxess website. 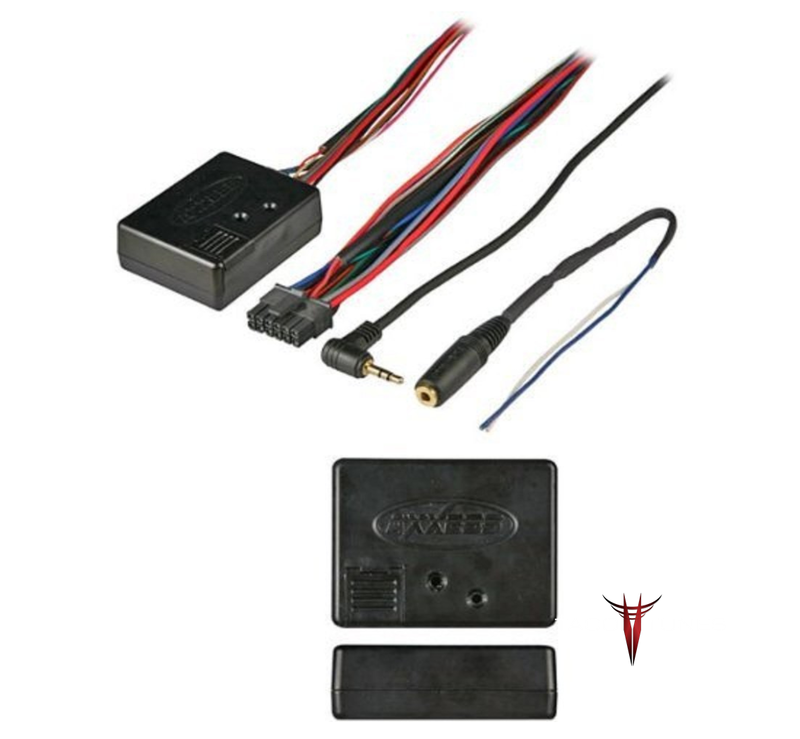 1) Complete connections to the vehicle and the aftermarket radio. 3) Perform action required for your particular vehicle as noted in the vehicle info sheet. do not push any buttons. which flashes were long for this may be needed later. successfully the led will light up solid red. So what if the led does not light up solid red? Check out troubleshooting section below. 6) After the 2 seconds there will be a series of 7 flashes, some short and some long. 7) The led will pause another 2 seconds then a series of 9 flashes. 9) Make sure the steering wheel control buttons function correctly in the vehicle and enjoy your radio. Check out troubleshooting section right below. So you tried the auto detect feature and at the end the led did not stay on solid red, it started flashing. steering wheel control wires in the vehicle to the correct wire(s) on the ASWC. wire is connected to the correct wire on the ASWC. check connections and the vehicle information sheet to verify that you have the correct wires connected. The 2nd set of led flashes represents what brand radio the ASWC believes it is connected to. Each flash is for a different radio manufacturer. SWC input on the radio. refer to the radios owners’ manual or wireless remote for specific commands the radio will recognize. led will stay in a slow constant flash state. 2) Press and hold the reset button down for more then 10 seconds. 3) After the 10 seconds the led will begin a slow constant flash. Down button and the led goes off. Volume Down has now been programmed. buttons need to be programmed in. and moves on to the next function. manual for specific commands recognized by the radio. the slow constant blink mode. seconds. This will restart the manual programming. Go back to step #4 and start again. 8) Press and hold the Volume Down button for 5 seconds till the led starts to flash quickly. 9) Release the Volume Down button. 10) After 4 seconds of the led flashing quickly the led will go out for 2 seconds. 11) Then the led will flash, up to 9 times, depending on what radio the ASWC thinks it’s connected to. 12) Make sure the number of flashes match what radio you have installed. functions to make sure it works correctly. to tell it what radio it is connected to. wheel control until the led goes solid red, then release Volume Up. 2) At this point Eclipse is programmed. If you are using an Eclipse radio go to step 3. If you are using a different radio go to step 4.
programming has finished. Go enjoy your radio. red, then release Volume Up. You have now programmed Kenwood. the ASCW has finished programming. 7) Go enjoy your radio. ignition off then back on again. aborted and the original settings are reset. for at least 25 seconds. will tell the ASWC to skip the command and go to the next one. whole list), hold down the Volume Up button for at least 10 seconds then the led will go out. After the 18th button is programmed or skipped the led will go out and the remapping is completed. Down button (not the Volume Down button you just remapped) for at least 25 seconds. 2) The led will turn on then release the Volume Down button and the led will turn off. 3) The original steering wheel control settings will be restored.